HERNDON, Va., June 15 -- Volkswagen of America, Inc. today announced the world debut of its all-new 2011 Jetta, delivering style, precision German engineering and Carefree Maintenance, all at an extremely accessible price. 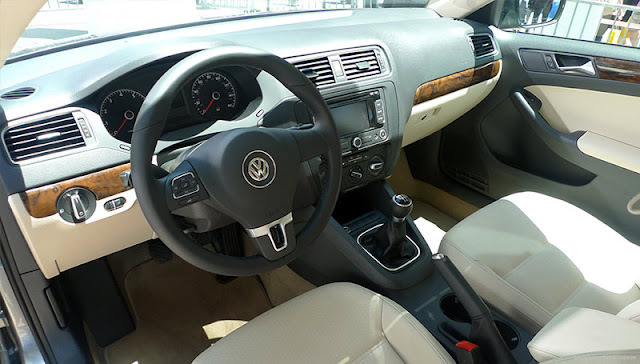 At a starting price point of around $16,000, the all-new 2011 Jetta offers best in class rear legroom, a premium interior and Volkswagen essentials. Unveiled for the first time today at an unexpected urban oasis in Times Square, New York, the all-new 2011 Jetta features clean lines, refined side architecture and premium style combined with Volkswagen’s trademark precision German engineering. 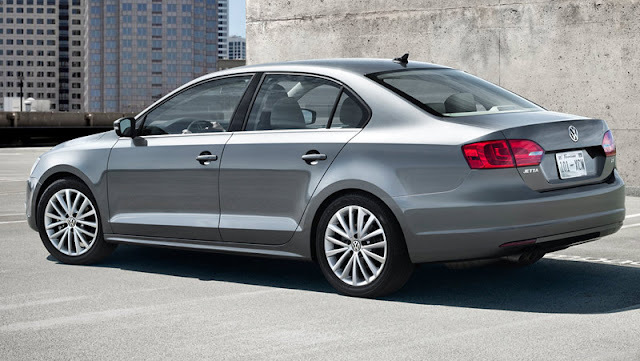 The all-new 2011 Jetta sets a new standard in its class and will be available in the U.S. this October. 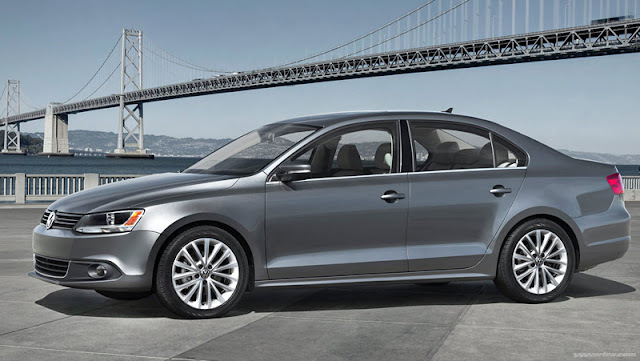 The North American version of the all-new 2011 Jetta features the powerful and efficient German engineering drivers have come to expect from Volkswagen. Four engines will be available in the U.S. and Canada, including a 2.0-liter turbodiesel direct injection (TDI) Clean Diesel featuring common rail injection with 236 lbs-ft. of torque (320 Newton-meters). The engine runs as quietly as a gasoline engine, but yields the power of a sports car achieving 0-60 mph in 8.7 seconds. Additional engines include the 2.0, 2.5 R5, and as of 2011, the 2.0 TSI. All Jetta engines will be offered with a manual transmission as standard equipment. An automatic transmission will also be available with each engine version as an option. On the new 2.0-liter TDI and 2.0-liter TSI, Volkswagen will offer the 6-speed DSG – one of the most advanced and efficient automatic transmission systems in the world. In the U.S., S, SE, SEL and TDI versions of the Jetta will be available, as will a 2.0-liter GLI. The all-new 2011 Jetta has been completely overhauled, inside and out. Its new wheelbase and exterior length are significantly bigger than its predecessor – resulting in superior performance, more space and greater comfort. At 182.7-inches long, 57.1 inches tall and 70.1 inches wide, it is more than 3.5 inches longer than its predecessors. The interplay of exterior dimensions leads to a powerful balance of proportions. In parallel, the new Volkswagen ‘design DNA’ sharpens the car’s styling. This has resulted in clear, precise lines and athletically muscular surfaces, which lend a timeless elegance and dynamic styling to the sedan. On the front end of the car, the prominence of horizontal lines defines the design. The high-gloss black radiator grille combines with the car’s trapezoidal headlights to form a styling unit. Under this is the fully painted bumper, which is designed as cleanly as a sculpted surface. Below that, another cooling air intake and the tray-shaped front spoiler gives the car a sporty finish. The upper front end section shows a powerful transition from the v-shaped engine hood to the fenders on the sides; the shoulder section realized here derived from the NCC concept car, and provides dynamic and muscular styling. The styling characteristics in the side profile of the Jetta meld into yet another interpretation of the ‘design DNA’ conceptualized by Walter de Silva, the Italian Head of Design for the Volkswagen Group and the German Head of Design for the Volkswagen Brand, Klaus Bischoff. A great example of the unique styling characteristics is found in the shoulder or ‘tornado’ line and the powerfully emphasized arches of the wheel wells. Formally, they intersect the large homogeneous surfaces, conveying a strong dynamic image. Thanks to wide track dimensions, the wheel arches also form a precise transition – as though cut with a knife – up to the tires, which could be as much as 18-inches. With integrated turn signal indicators, the styling of the outside mirrors emulates the larger CC. Compared with the previous model, the all-new Jetta has grown in clarity and pre-eminence in its side profile. Harmonized surfaces and sporty shoulders dominate the rear section. Powerful in illumination and visually distinctive, the taillights are split into two sections, extending on either side from the fender into the tailgate. A key benefit of the extended wheelbase is that it resulted in a more comfortable layout of the five-seat rear seating area. Legroom is now a long 38.1 inches, a 2.6-inch gain from the previous model. Customers looking for a more personalized touch can for the first time have interior accents changed out at a Volkswagen dealer. Engineers went to work on the interior down to the finest details, providing a level of quality and perfection far beyond other vehicles in its class. A common conceptual thread throughout the car is the intuitive controls and well-arranged instruments. The new steering wheel designs impress both visually and to the touch. The right hand rests ergonomically on the gear shift grip. Further up on the center console are the newly designed and intuitive controls for climate, radio and radio-navigation systems. This console section is slightly inclined toward the driver for ideal alignment of the cockpit. Also in optimal view are the round instruments. The multifunction display (trip computer) is located between them. The rear bench seatback is split 40/60 and folds, increasing the car’s versatility. The tailgate can also be opened from inside the car by a remote unlock switch. Up to six airbags (two front airbags, two side airbags in front, two window airbags/thorax airbags in the area of the front side windows) are also part of the equipment package.